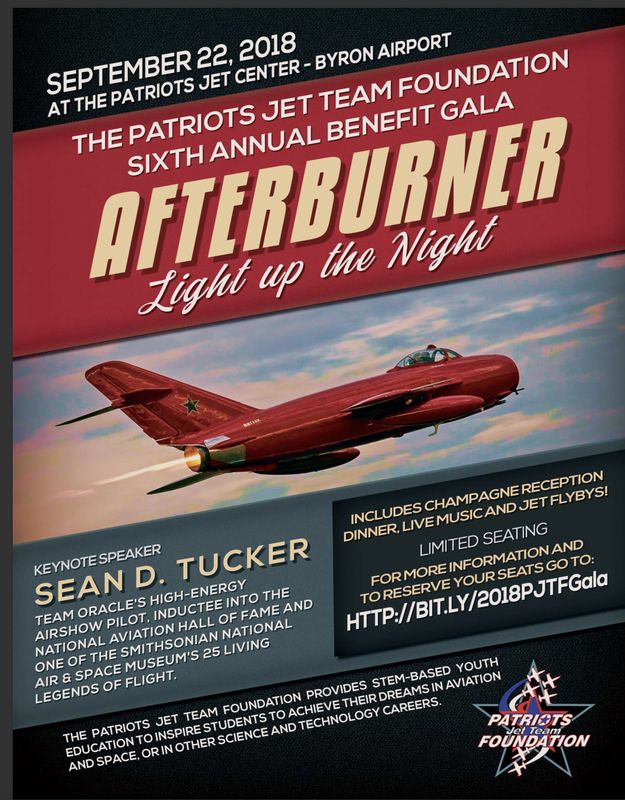 Registration is now open for the Patriots Jet Team Foundation 6th Annual Benefit Gala! You won’t want to miss this exciting evening with jet fly bys, dynamic guest speaker Sean D. Tucker, champagne cocktail hour, dinner, live music and Auctions all to benefit the Foundation. Please view sponsorship opportunities with a variety of entitlements here.